The Marine Band Deluxe puts a contemporary spin on the Marine Band legacy. 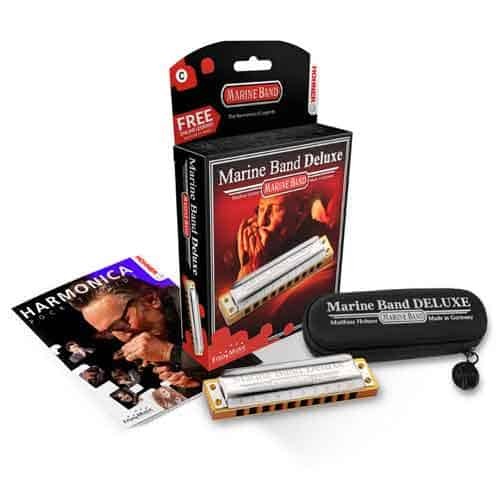 Using its legendary, best-selling forebear as a starting point, the Marine Band Deluxe offers enhancements such as an improved cover design for greater volume and stability, a sealed comb, and rounded channel mouthpiece openings and corners. 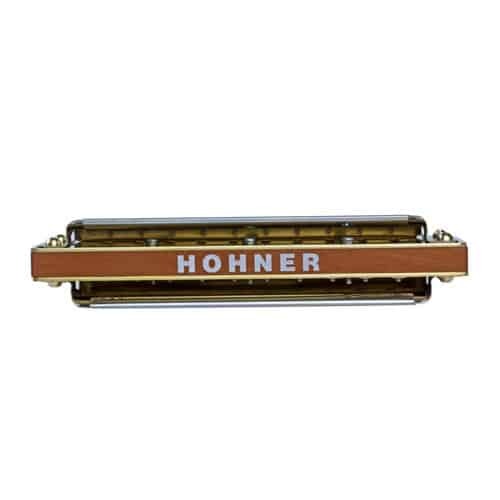 A logical choice to take your playing to the next level, this harmonica is quickly being adopted as the preferred choice of professional players worldwide. 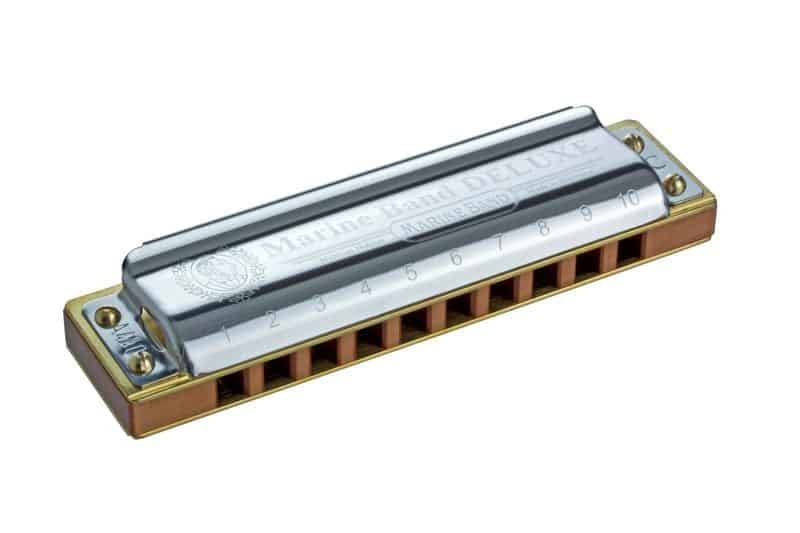 If you play a Marine Band harmonica, you owe it to yourself to discover the next generation. 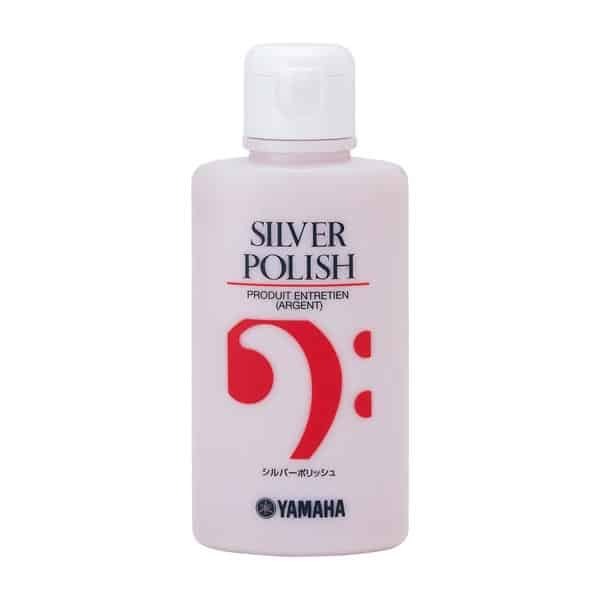 • New improved cover design gives greater volume and stability. 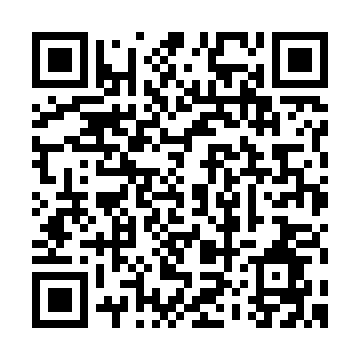 • Assembled with three reed plate screws and four cover screws to maximize airtightness and facilitate maintenance. 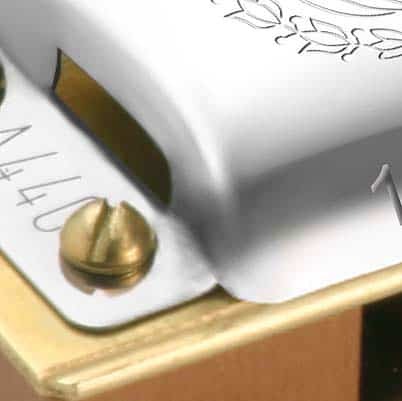 • New reed profiles ensure longer reed life and reduce breakage. • The entire pearwood comb is triple-laquered, dramatically minimizing swelling and ensuring greater volume and faster response. 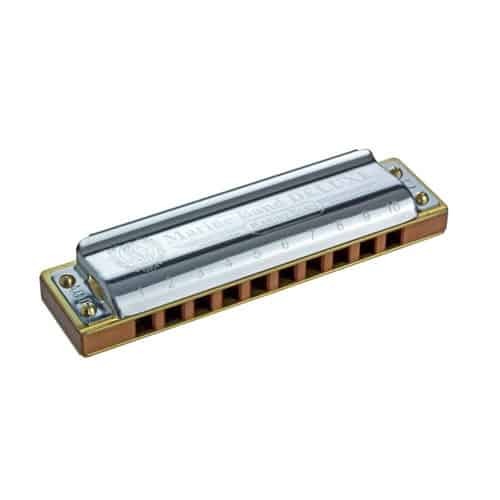 • Channel openings and reed plate edges rounded off for greater playing comfort. 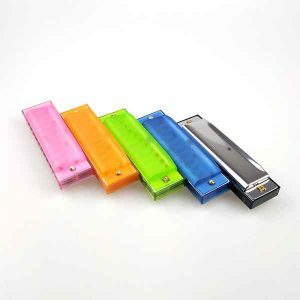 • Sturdy neoprene zipper case allows moisture to evaporate while keeping dust out. 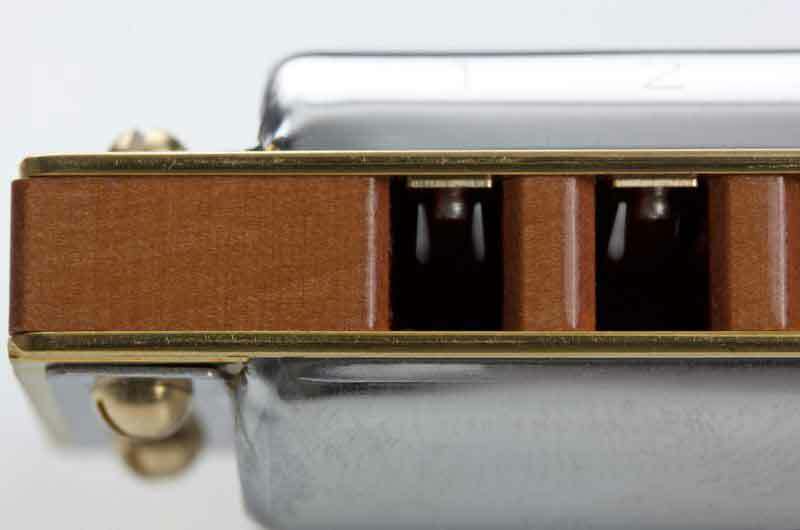 • Elastic loop allows case to be worn on belt.